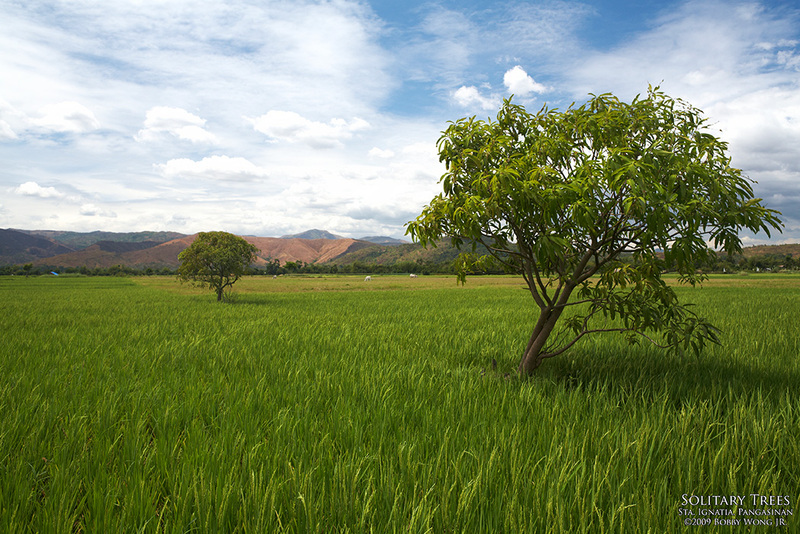 Solitary trees growing in the middle of rice fields? In barrio Sta. Ignacia in Pangasinan, the road is lined with rice fields on both sides. It was the tail-end of the harvest season when we came through and most of the fields were already brown and hallowed. So imagine our joy when we chanced upon this section of field still fully planted and green. And with painted hills on the horizon too! We're glad to pulled over. Enjoy. You are a talented photographer. I love your photos. I added you to my blogroll. Bobby, if I may address you by your first name. Please print all in book form with your lovely photographs and narrative. I'll be your first customer waiting in line. Thanks very much!